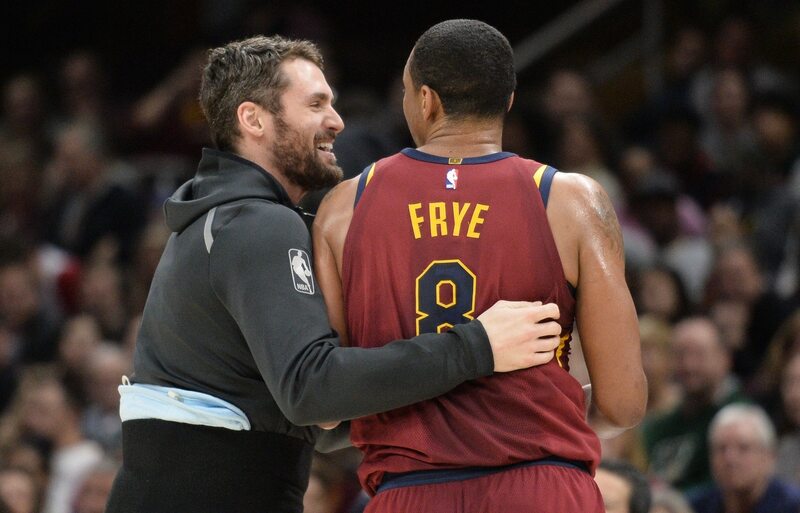 Channing Frye is retiring after the end of the 2018-19 season, and Cleveland Cavaliers teammate Kevin Love showed him a ton of love and respect on Sunday. Love gave up his starting spot in the lineup, and then when it was time for him to come into the game in the first quarter, he checked into the lineup wearing Frye’s Arizona uniform. Frye was obviously touched by the gesture. It’s been a long, arduous season for Cleveland, but it’s little things like this that make it all worthwhile. Frye has played 15 seasons in the NBA since being selected by the New York Knicks in the first round of the 2005 NBA Draft. He spent two years with the Knicks then played for the Portland Trail Blazers, Phoenix Suns, Orlando Magic, Los Angeles Lakers and Cavaliers.